This appetizer is something that we make quite often around here. I started making it about two years ago and it is something that our friends ask for when we are having one of our dinner parties. This is really easy to make and can be made up ahead of time and refrigerated and then taken out when ready to cook. It is delicious and full of so much flavor. If you make the recipe exactly with the whole jalapeno and cayenne pepper, it really has a nice kick to it. If you don’t want so much of the heat, then you can use half of a jalapeno or none at all and cut back on the amount of cayenne. I never roast my own peppers because I just don’t have the time to, so I always buy the roasted ones in a jar. They are always great and full of flavor and are ready any time I need some. Melt 1 tablespoon of the butter in a large skillet over medium-high heat. 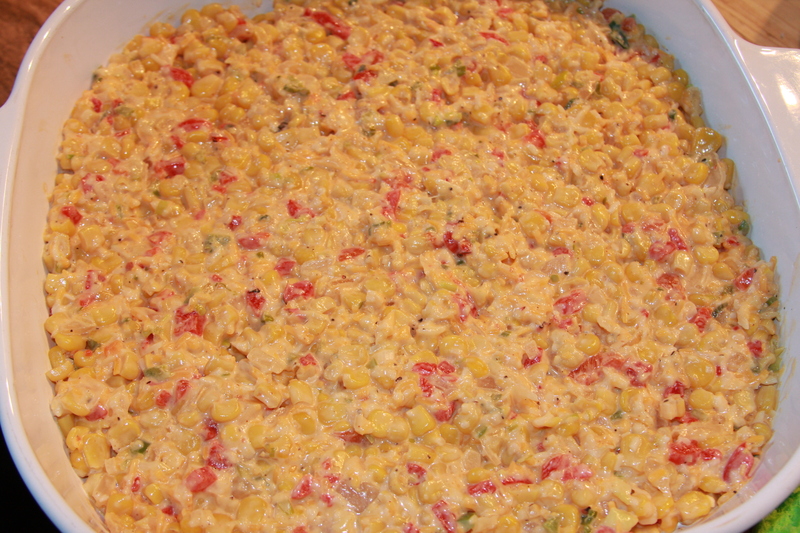 Add the corn and salt and pepper. Cook, stirring occasionally for about 4-5 minutes. Remove from heat and place into a large bowl. Melt the remaining tablespoon of butter in the skillet. Add the onions and red peppers. Cook, stirring often, until the onions and peppers are soft, about 2 minutes. Add the green onions, jalapeno, and garlic and cook for about another 2 minutes, or until everything is softened. Transfer to the bowl with the corn. Add to the other ingredients in the bowl, 1/2 cup mayo, cayenne pepper and both cheeses, then stir until well combined. You can add more cheese here if you really want to! Pour into an 8-9 inch square baking dish. Bake until bubbly and golden brown, 10 to 12 minutes. Serve hot with tortilla chips. 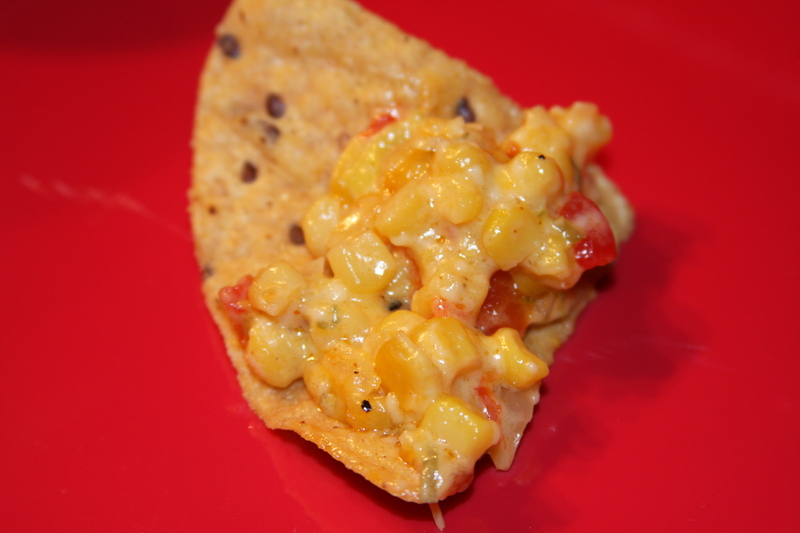 This entry was posted in Appetizers, Dips and Spreads, Gluten-Free, Recipes, Vegetarian. Bookmark the permalink. Great looking dip! I love making dips :D. I made pate the other day, yum. Thank you! I am a big fan of them as well. I have so many in my recipe stash. I thought that I needed to bring some out with the holidays approaching.